Emirates has been recognised at the World Travel Awards Middle East 2018 with four awards. Khalid Al Serkal, Emirates’ District Manager Sharjah received the awards on behalf of the airline. 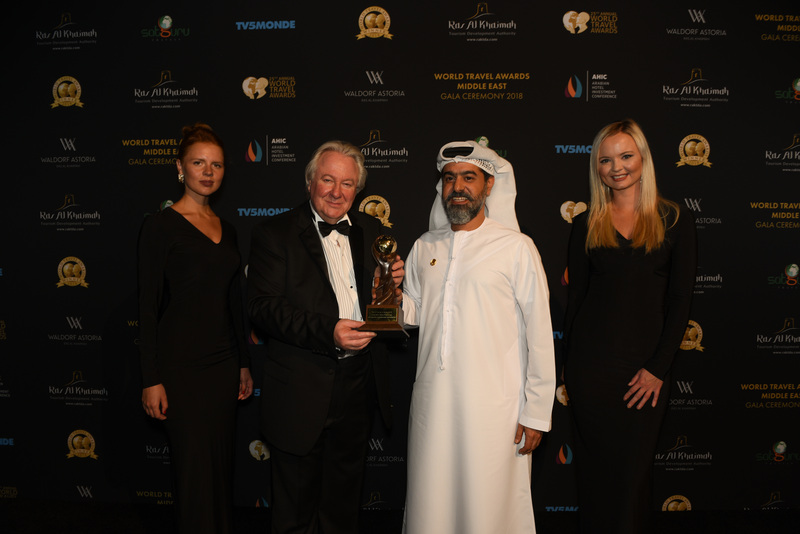 Dubai, UAE, 2018-Apr-30 — /Travel PR News/ — Emirates, the world’s largest international airline, has been recognised at the World Travel Awards Middle East 2018 with four awards – Middle East’s Leading Airline, Middle East’s Leading Airline Brand, Middle East’s Leading Business Class Airport Lounge and Middle East’s Leading Cabin Crew. This entry was posted in Airlines, Travel, Travel Awards, Travel Management, Travel Services, Travelers and tagged Emirates, Sheikh Majid Al Mualla, World Travel Awards Middle East 2018. Bookmark the permalink.